Very busy day today, sorry. 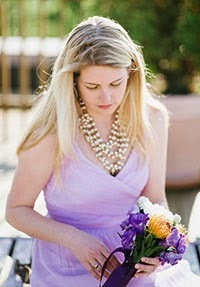 How about a bit of loveliness from my pinterest feed. 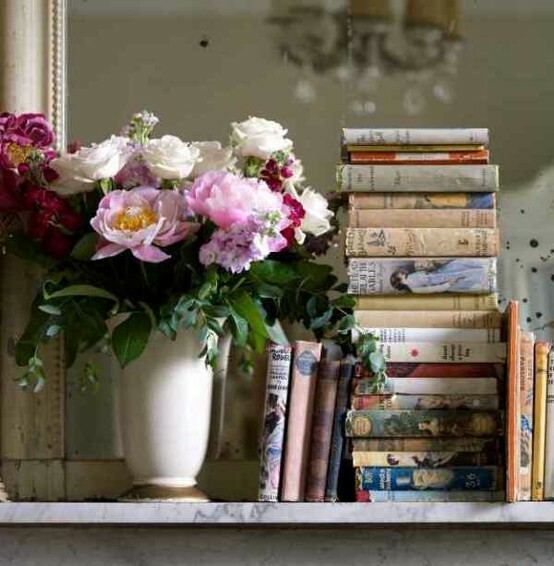 Who doesn't enjoy a good stack of vintage books? 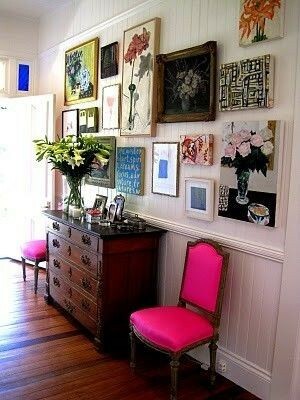 Lovely gallery wall and great hot pink accent chairs. 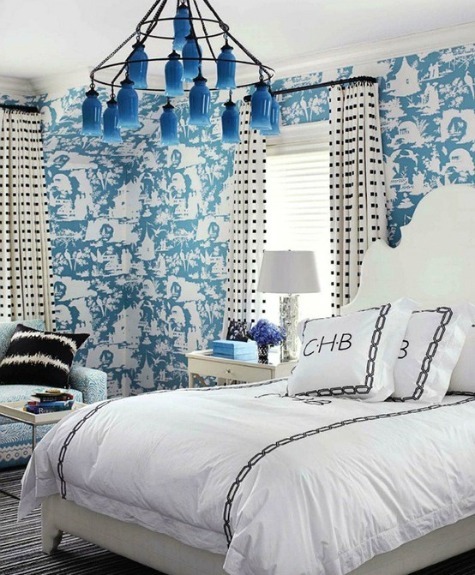 A Bedroom featured in October's House Beautiful. Love the Quadrille wallpaper!